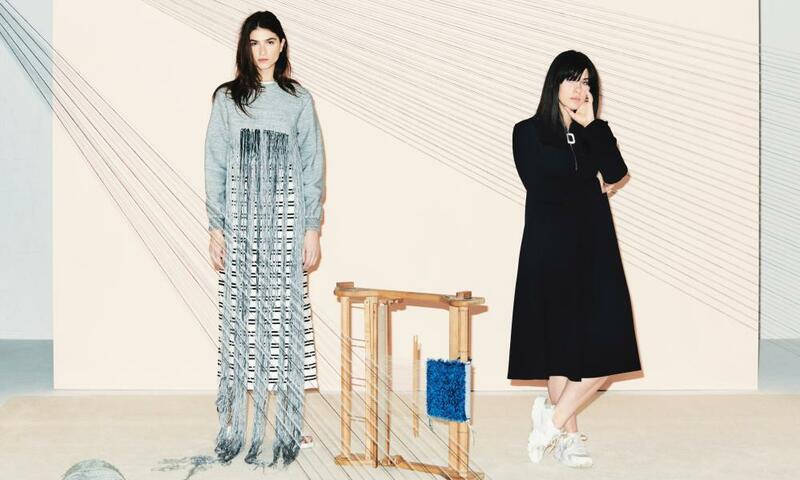 A new breed of fashion designer is putting ethics at the heart of everything they do. No longer is sustainability and social responsibility a token extra or cynical marketing ploy. The smartest brands are the ones taking full responsibility for every step of the process, from the supplier to the maker – and in some cases the aftercare of the product, too. These are designers interested in quality, never quantity – a generation making clothes we will cherish, that will make us consume less and make the best possible choice when we do. Next week the windows of Selfridges in London’s Oxford Street will be dedicated to the store’s annual Bright New Things. This year the focus is on designers who are making innovative and beautiful products in a clean, transparent way. The store consulted the Centre for Sustainable Fashion to select and mentor nine designers to showcase in its windows. One BNT will be awarded a bursary of £3,000 to support their work. Here we introduce five of the brightest, newest things and find out why crochet, fishing nets and old-fashioned hand weaving are the future of fashion. Jones, who graduated from Central Saint Martins with an MA in knitwear in 2013, doesn’t like to waste anything. She goes out of her way to use up ends of runs of wool, and second-hand clothes which she cuts up to remake into her own designs with hole punching, hand embroidery, hand dyeing and knitting. Her collection for spring/summer 16 is a riot of kitsch Tex-Mex inspired colour and texture – jeans with multicoloured stars and hearts, knitted cardigans with sweetie-coloured ribbons as fringing, a simple summer dress made from reclaimed denim panels pieced together with Jones’s bright and breezy crochet trademark. Jones’s approach comes from a belief that the planet can’t take much more overconsumption and gratuitous waste. But she is not on a mission to save the world. Diana Auria never learned to swim, but that hasn’t stopped her building up a thriving swimwear brand. Her partner Margot Bowman, an enthusiastic swimmer, more than makes up for her lack of butterfly. She has recently started to collaborate with Ecco, the world’s most environmentally friendly tannery. It runs its production on 75% biofuel, and there are strict water policies in place. It’s a two-way relationship. Ecco supplies her with leather and she in turn works with the Ecco workshop in the Netherlands to experiment with its leathers. “Leather is a tricky material and very precious,” she says, “so it’s important I know where it’s coming from.” Her new website will include information about her suppliers and her processes. As well as ensuring that her supply chains are as clean as can be, Spetlova, who studied chemistry in the Czech Republic before moving to London to study fashion at Central Saint Martins, is working towards zero waste in her production. She precision-cuts her leathers using computers, and any excess is used to make small accessories or donated to fashion colleges for the students to use. Most impressive, however, is her production, partly done in the Czech Republic and partly with a project in the Netherlands which works with a refugee community of weavers and craftspeople. When Faustine Steinmetz taught herself to weave, it was an attempt to make cloth that didn’t feel like all the other cloth on the high street. If you were going to spend money on an item of clothing, she thought, it should feel different. Armed with a few good YouTube “how to” videos, she first challenged herself to weave her own version of an Adidas tracksuit. She then moved on to a pair of jeans before launching her own collection in 2013. She likes to make ordinary clothes feel – and look – extraordinary.